What does Gregory Crewdson have to do with travel photography or photojournalism? Well, there’s not a real connection but there’s a lot I learned from his work. Crewdson’s photography pulled me deeper into the world of image making when I was studying photography. His photographs go beyond movie stills and look like entire movies. That’s why I love his work. 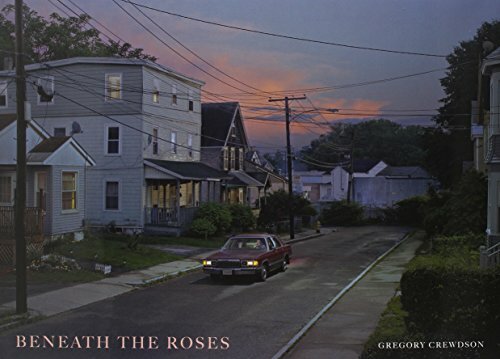 © Gregory Crewdson - Beneath the Roses. With production teams and budgets that rival those of movies, his work is controversial. Crewdson captures moments and expansive portraits of people lost in thought and often isolated in the frame. He stages cinematic scenes of suburbia and his surreal images are melancholic or disturbing. He blurs the boundaries between fiction and reality, thanks to the artist’s incredibly detailed preparation of elaborate sets, lighting and cast. He has created his own photographic world and each photo tells a more than intriguing story. No matter what genre of photography you like, looking at his work will teach you a lot. Lot’s of genres of photography try to tell stories through their photos. It’s what documentary photography, photojournalism and travel photography is all about. Crewdson’s work is also based on telling stories but on a whole different level. Bigger, wider and deeper. The care for details, perfect lighting, actors... I could stare at his photographs for hours and make up story after story—and that’s where the difference with those other genres lies. Crewdson tells a story by leaving information out. He offers the viewer a scene and wants them to create the story. Sure, his images are rich in details and there’s not a thing in the frame that he doesn't carefully select. But then there’s the lack of information and the ordinary settings. We don’t know what happens before or after the scene or who these people even are. That contradiction between the abundance of details and lack of information is why his storytelling is so interesting, over and over again. There are as many narratives possible for each of his images as there are viewers. Each person gets pulled into the frame—the world of Gregory Crewdson. When you see a photograph by him, your imagination will be triggered. There’s no way around it. All the lights in his photos are carefully directed. He has a crew and everything within the frame is lit beyond perfection without looking fake. The atmosphere is always spot on and key for a Crewdson photograph. It’s no secret that post-production and editing is very important in his process. It’s far from how a travel photographer or photojournalist works but I learned a lot about light by looking at his photos. I looked at his work a million times trying to figure out the lighting and why it looks so beautiful. Now, it helps me to spot exceptionally good light. I even call it ‘Crewdson-light’. Often, a combination of twilight and perfectly balanced artificial light. Of course, I don’t have control over light, like he does. Getting that prefect light only happens once in a while. © Gregory Crewdson - Twilight. Even if you want to learn about natural lighting, look at his work. It will help you to see and predict light better. I always try to find real live ‘Crewdson scenes‘. I love the Crewdson light and atmosphere and I try to incorporate the style in my own photos. It’s one of the reasons why I like to go out and take photos around sunset. That light is perfect for the Crewdson look. Most of the times, there aren’t too many similarities because it’s very difficult to achieve a Crewsdon like photo without directing the whole scene. One time though, I knew I was going to get pretty close. My very own Crewdsonesque photo shot when I was traveling in Thailand. We were staying in Hat Yai, Thailand and returning back to our hotel after a day out. The light and the setting was just perfect. The tower on the right was the finishing touch for the background and after waiting a little bit, I got lucky and a subject entered the frame. It’s one of those shots that I love because it reminds me of the artists I admire and I’m not ashamed to say that in my beginning years, I learned a lot by copying their style. Learn as much as you can from the people you admire even if it’s not your own style. Beneath the Roses is an epic book. This series of photographs took nearly ten years to complete and features anonymous townscapes, forests and desolate streets. It’s a rather dystopic look on American suburbia but incredibly fascinating to see and one of the reasons why I love photography. And while I definitely recommend buying one of his books—if you have the chance to visit one of his exhibitions, don’t miss it! The larger than life prints make his world really come alive. 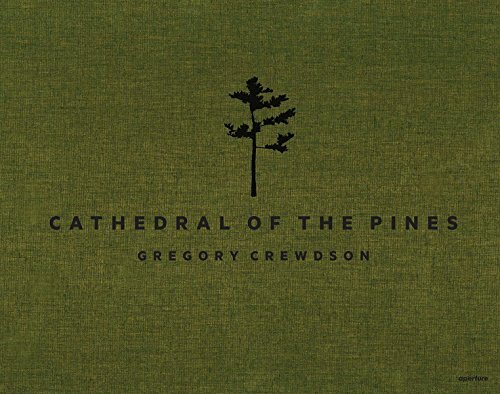 Cathedral of the Pines—his most recent body of work where he reinvented his own style and creativity. 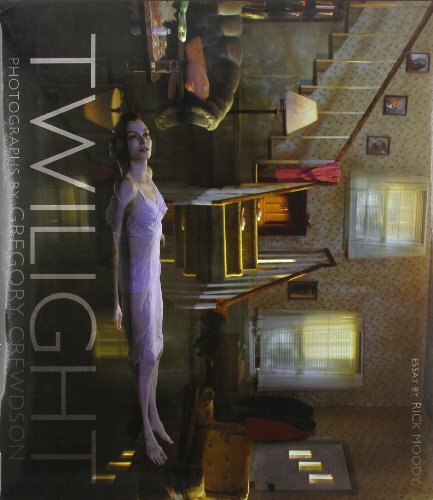 Crewdson's Twilight series started in 1998 and took four years to complete. It consists of forty photographs that explore the domestic landscape and its relationship to an artificially heightened natural world—a collision between the normal and the paranormal. He creates a place of wonder and anxiety. Gregory Crewdson was born in 1962 in Brooklyn, New York. He is a 1988 graduate of the Yale School of Art, where he is currently the director of its graduate studies in photography. His work has been exhibited widely in the United States and Europe and is featured in many public collections including solo exhibitions at Gagosian Gallery in New York, the San Diego Museum of Art, and White Cube in London, among many others. © Gregory Crewdson - Cathedral of the Pines. In 2012, the documentary Gregory Crewdson: Brief Encounters by Ben Shapiro premiered at the South by Southwest Film Festival. It shows Crewdon’s elaborate photographic process from beginning to end. His most important works are Natural Wonder (1992–97), Twilight (1998–2002), Beneath the Roses (2003–08), and Sanctuary (2009). His most recent body of work, Cathedral of the Pines (2013–14), opened at Gagosian, West 21st Street, New York, in early 2016.